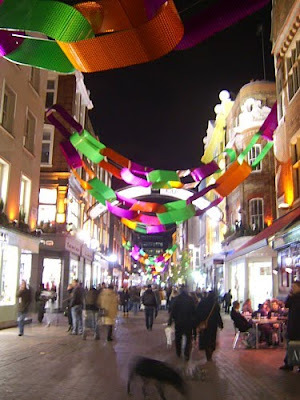 I have recently seen Carnaby Street christmas decorations. 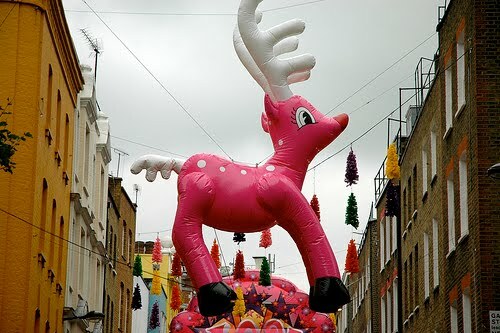 Which consist of blow up inflatables. With pop up art style phrase bubbles and blow up reindeer. 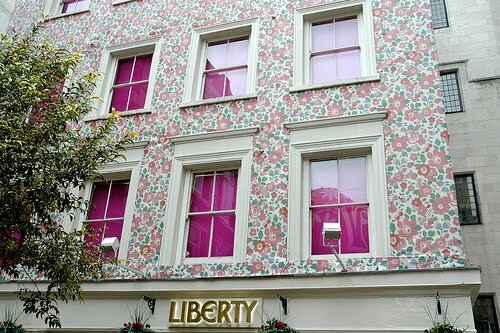 The decorations work well, set aganist the current floral exterior of the rear side of Libertys. 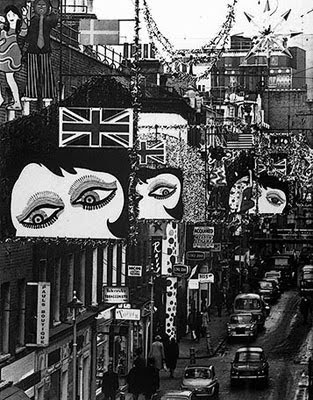 I think they are inpressive, but still don't compare to the carnaby street of the swinging sixties. To me the design obviously taking inspiration from the current pop life exhibtion at the Tate modern. 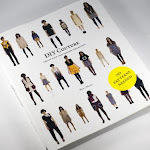 The designs are inspired by the sixties culture of Carnaby street. 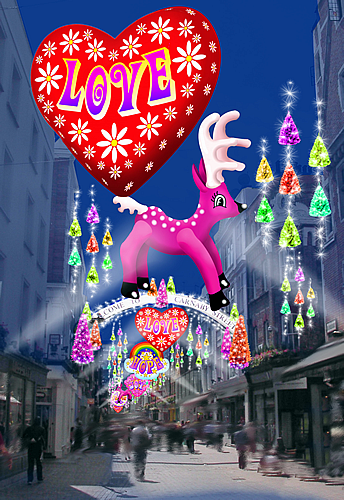 The decorations are designed by Paul Dart from the James Glancy Design Agency. 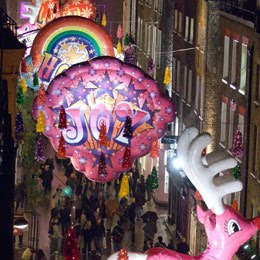 I also particulary like the decorations of 2007 christmas of the big paper chains, in between the streets.